I was invited to present at the Stonegate Literary Festival in Montgomery County, MD in May 2015. 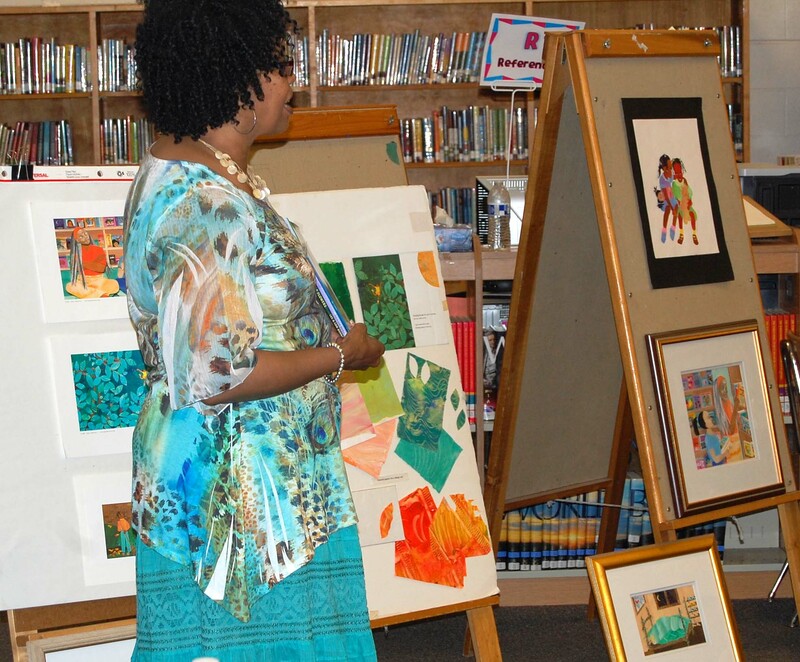 Students from grades K through 5 learned about my process in creating illustrations for my picture books, from creating the initial sketches, to painting my papers, to composing the pictures using a cut paper collage technique. Students also learned about the skills needed to create illustrations such as drawing and painting as well as the ability to revise. I showed my original illustrations from several books and discussed the difference between original art and reproductions. I was pleased with the students level of curiosity as well as their thoughtful questions.